Fill in your details below and we will let you know within 24 hours if we can get Arboretum Deluxe Edition to you with haste! 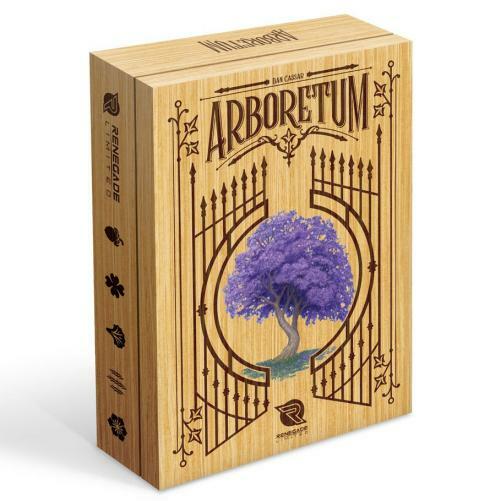 Arboretum is a strategic card game, designed by Dan Cassar and illustrated by Beth Sobel, that challenges players to create the most beautiful path through the garden. Choosing the correct cards and placing them in the most efficient orientation will score you the most points at the end of the game. With elegantly simple rules, Arboretum offers players surprisingly complex choices. The limited edition deluxe version offers fans a chance to enjoy the elegance of the game with an engraved and heat-treated wooden box, premium rainbow foil cards, an embroidered fabric bag, and a beautiful full-color sleeve for the box.